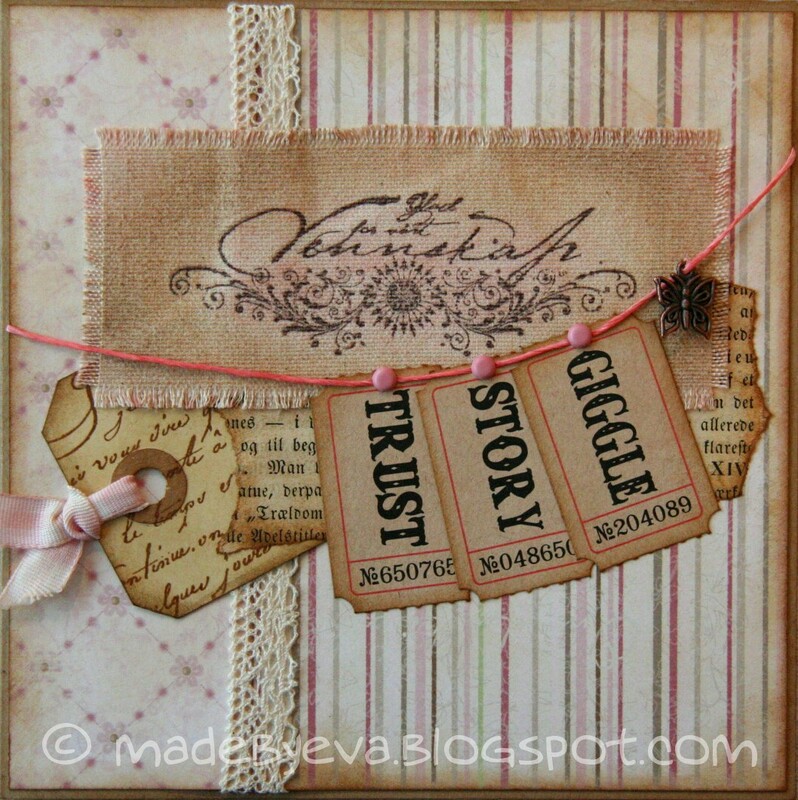 This card was made after a sketch at a card making/scrapping day at my local paper crafting shop, HobbyHimmelen. The sketch was made for a 12x12 layout and had too many elements to fit onto a small card, but this is pretty close. 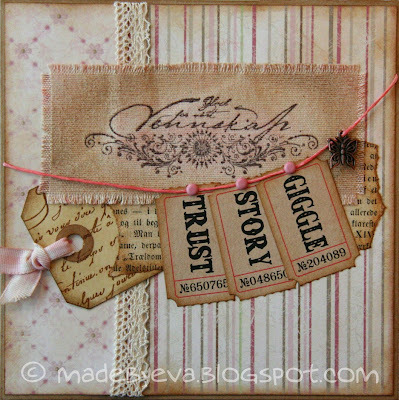 I used Maja Design papers, Tim Holtz tickets, Stempelglede sentiment stamp on Stickyback Canvas and some random stuff from my stash.